John Deane "Jack" Pontrich, 86, of Louisville, KY, passed away on Wednesday, February 6, 2019. Jack was served in the US Army during the Korean Era. 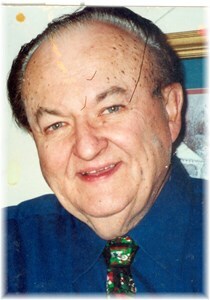 He was born on December 24, 1932 in St. Albans, West Virginia to the late John Walter and Esther Pontrich. Jack is survived by his loving wife of 61 years, Norma Pontrich; son, Gary Pontrich (Kerri); daughter, Terri Spalding; grandchildren, Sarah Pontrich, Emily Pontrich, Abby Pontrich and Zachary Pontrich. Visitation will be from 11 am to 1 pm on Wednesday, February 13, 2019 at Buechel Park Baptist Church, (2403 Hikes Lane, Louisville, KY 40218), with a service to honor the life of Jack to follow at 1 pm at the church. Burial will be held at Cave Hill Cemetery. The family requests that memorial donations in honor of Jack's name be made to Buechel Park Baptist Church, The Legacy Fund (2403 Hikes Lane, Louisville, KY 40218). Add your memories to the guest book of John Pontrich. Terri sorry for your loss. You are in my prayers. What I remember most about Jack, is his warm, congenial manner, his ready smile, and bright sparkle in his eyes. He had a way of making me feel a welcomed, cherished member of the family and had this great laugh and smile that shined brightly from his eyes and lit up the room,which I'm really going to miss. My heart is with you all. I pray that God enfolds you in his love and brings you comfort.